Putting stock returns in a percentage format allow you to easily compare performance between stocks. A stock's adjusted closing price gives you all the information you need to keep an eye on your stock. You can use unadjusted closing prices to calculate returns, but adjusted closing prices save you some time and effort. Adjusted prices are already adjusted for stock dividends, cash dividends and splits, which creates a more accurate return calculation. In today's fast-paced financial environment, adjusted closing prices are an excellent tool for capturing an informative snapshot of the day's activity which can help you refine your strategies over the short term. The adjusted closing price of a stock takes into account dividend payments, splits and other factor which directly influence overall return. Comparing the adjusted closing prices for a single stock over a specific duration of time will allow you to identify its return. Find an online or print resource that offers historical price tables for your stock. 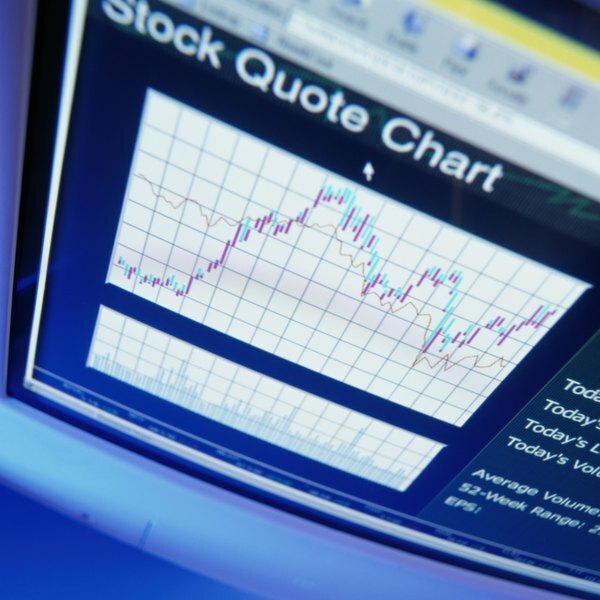 Many companies offer historical price data in the investor relations portion of their website, and finance websites also make data available to the public. Download the data for the period of time you're interested in, or enter it manually into a spreadsheet program. You can record close dates at daily, weekly or monthly intervals – whatever works best for your purposes. Most sources will give you a variety of data regarding the stock for each closing date. The only data you really need is the column of dates and a corresponding column for adjusted closing prices. Set up the spreadsheet so that the date and corresponding price are in descending order. For instance, if you're trying to find the monthly stock return from January 2018 to September 2018, list February data below January data. To calculate a monthly stock return, you'll need to compare the closing price to the month in question to the closing price from the previous month. The formula for percentage return begins by dividing the current month's price by the prior month's price. The number 1 is then subtracted from this result before multiplying the resulting figure by 100 to convert it from decimal to percentage format. For example, if the January 2018 stock price was $60 and the February price was $67, the return is 11.67 percent [(67/60)-1] * 100. Create a new column labeled "stock return" and perform the calculation for each month. Once you've calculated monthly returns, you can continue to analyze and play around with the stock return data. You can find the average return over the time period by summing each stock return and dividing it by the number of months in the time period. You can also find the standard deviation of the monthly returns to see how erratically the stock increases in value. If you own stock in multiple companies, you can use correlation functions and equations to discover how the stocks in your portfolio are correlated. How Is Total Return Used to Price Stocks?